Everton have slapped an £80million price tag on attacker Richarlison with Chelsea, AC Milan, Paris Saint-Germain and Atletico Madrid all watching the player closely, according to the Daily Star. The national newspaper state that the Toffees will demand double what they paid Watford for the 21-year-old last summer, £40million, and are bracing themselves for a fierce battle to retain the winger. The Daily Star report that Richarlison’s future may depend on what happens with under-pressure Toffees boss Marco Silva as the Portuguese manager has been a huge influence on the player’s career. It is believed that Silva is at risk of getting the sack at Goodison Park and if this situation occurred it would be personal blow to the Toffees ace. If the Toffees are to part company with Richarlison so soon after his arrival, getting £80million for his services would be splendid business. The 21-year-old winger made a splash at the start of the season upon arriving from Watford but his form has notably dropped as of late. Richarlison has scored 11 goals, while assisting two, in 27 outings this season and does look like a player capable of having a bright future at Goodison Park due to this attacking talents. However if the likes of Chelsea, AC Milan, PSG or Atletico Madrid are so keen on Richarlison that they want to spend £80million on him, the Toffees should accept. 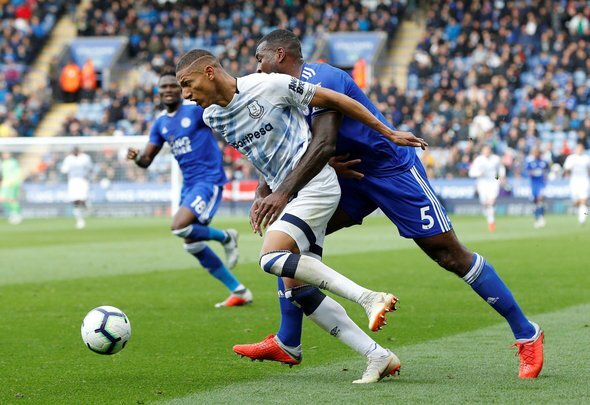 Some of Europe’s biggest sides may try their luck when it comes to luring Richarlison away from Goodison Park in the summer, especially if Silva is dismissed, but it seems unlikely anyone will meet the Toffees’ demand. The sought-after 21-year-old Brazilian does tick a lot of boxes but with his form not exactly being stellar as of right now, it’s hard to imagine that anyone would want to spend £80million as it would be one expensive gamble. Also the Toffees do seem like they are building for the future, so if they did sell Richarlison, regardless of how much for, it would look like a backwards step for them.